I LOVE lists! I am the list making queen! There is not a single notebook, scrap of paper or journal in my house without a list on it. I make a list, re-organize it and write it all over again. Some lists are actually used, some are lost or thrown in the trash. I probably make at least 10 lists per week. Lists of clothes to mend, lists of groceries to buy, wish lists, lists of ideas, lists of things to do. Ah- list-making is my zen. Anyway, in today's list making I have decided that I really need to re-write a house keeping schedule and stick it on the fridge so I don't forget about things. With all of these lists floating around, it's hard to keep track of the truly important things, like laundry. I opened a word document and types up my pretty little list in a retro font. Yay, me! 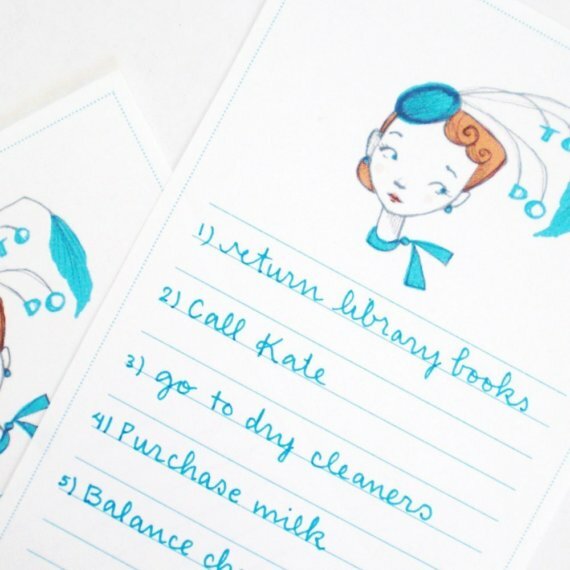 For all of my fellow compulsive list-making crazies out there, I wanted to share some of these -adorable- printable to-do lists on etsy. 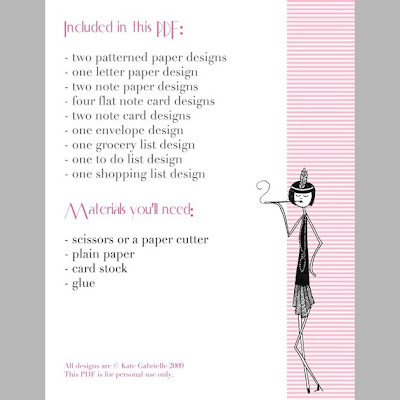 Each of these lists are sent via email in a PDF file, which you can print at home as many times as you need! I love these cos I also love lists!! You are not alone, I am a list making fool. In fact I'm making one right now. I love the first one the best, love that blue. you have such nice handwriting! How funny, after I read your cleaning schedule post on your other blog I felt so so so motivated to to it that way that I created a pretty list - a template. 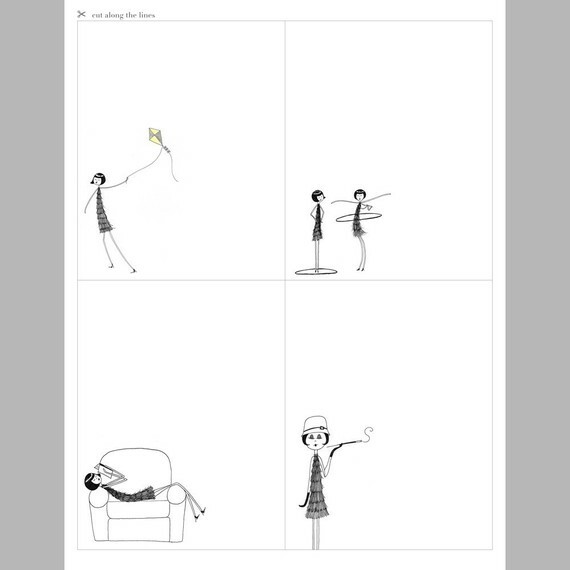 I used some free vintagey comic piccies - I was going to blog about your brilliant post and how I try to make it happen and share the list template! 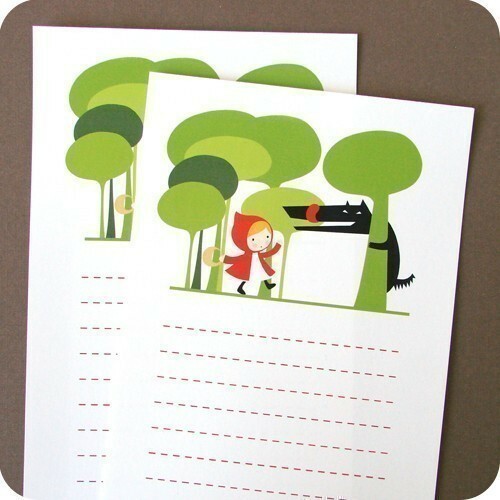 I do love this little red riding hood one aswell! I love these! 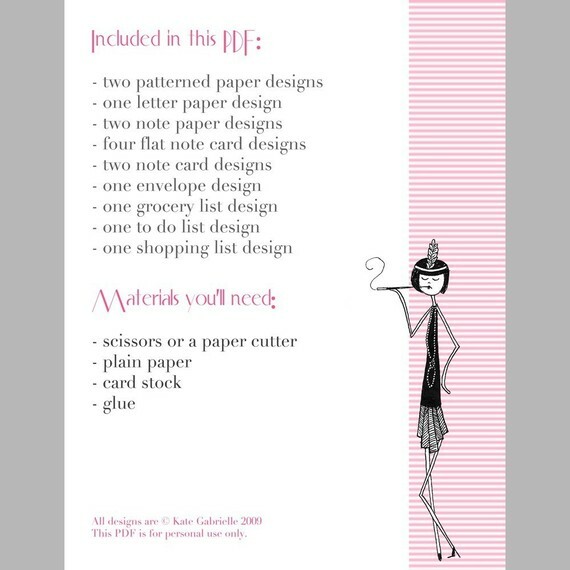 I always make to do lists for work and get so bored with my templates. Looking forward to using these! Great idea. I am inspired! Be sure to check my blog tomorrow for some pinup to do lists as part of my Viva Las Vegas series. Thanks! I am telling you Mrs. Britney your housecleaning schedule helped in get organize!!! So cute! I especially love the one by Miss Avocado. I'm a list maker as well, and will definitely use these! Thanks! Another listmaker checking in! Those are totally cute, thanks for sharing the links. What lovely stationary! I'll admit I need to do more lists, I like lists, but always get distracted and forget to make them when I need them. It sounds loony but the only way I can make and follow a list is if it's made "pretty" somehow. Your pretty list making links will be a big help!